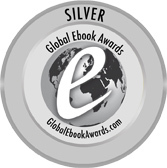 Global Ebook Awards – a triple! One gold and two silvers! And my silvers are as good as gold to me since no golds were awarded in those categories! Normally, I don’t like to tout awards or brag very much but I am honored and proud and wanted to share with you. 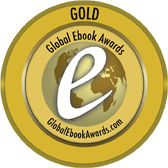 And in case any of you wonder, yes, awards do matter to some readers who are trying to chose between books. If you could get an award-winning book over one that isn’t, might you choose the winner? Especially with poetry, you want any edge you can get. I’m also pleased that my photography won an award! That really has me over the moon. Cover, poetry and photography. Whee! Other News: My novella, Midnight Assassin, A tale of lust and revenge, is in production. Release expectation remains Sept 2015! And more surprises coming soon! This entry was posted in Awards, Personal, Photography, Poetry, Publishing, Writing and tagged award, book, contest, Photography, Poetry, self-publishing, vampire, words, Writing. Thank you very much, Lidia. I am very surprised but delighted. Hear me? I told you so! Okay, you called it. I always believe you but maybe not on this. Anyway, thank you, dear friend, for believing in me and helping me to always move forward, to be better, to challenge myself. You are a true friend.